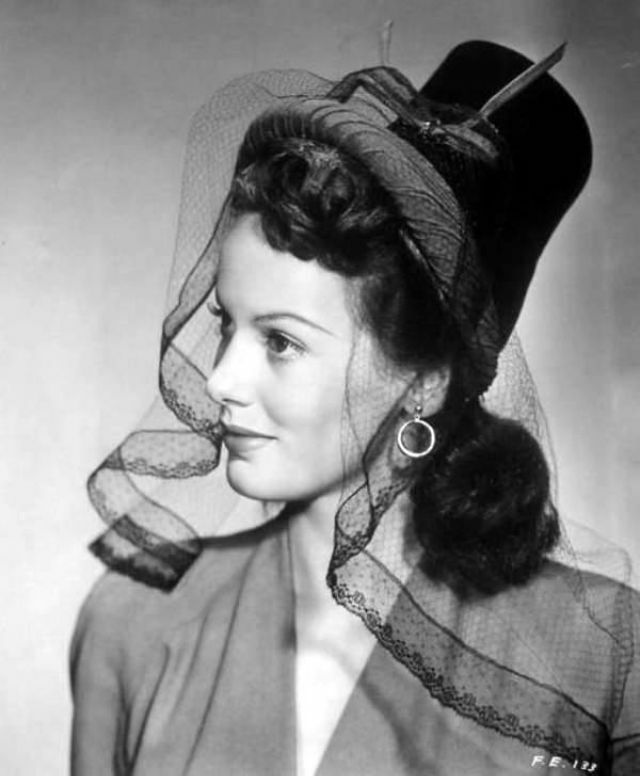 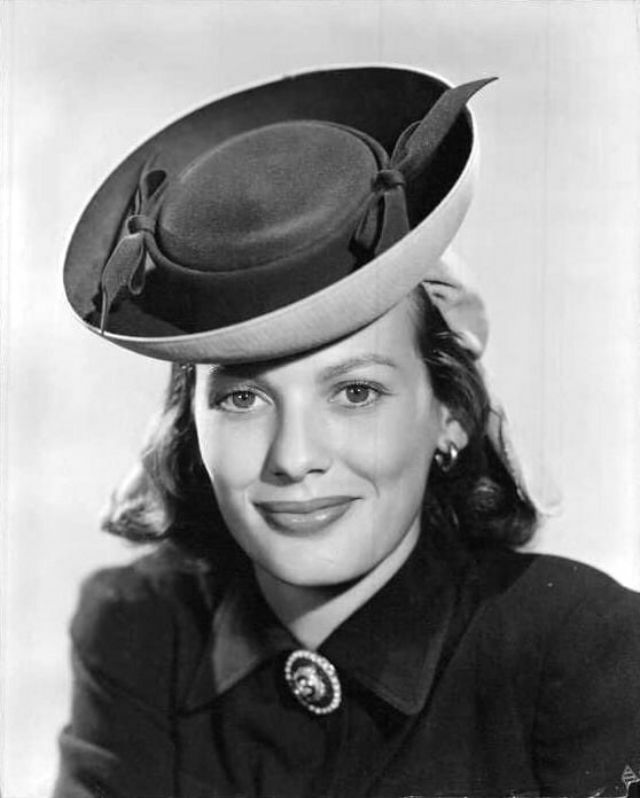 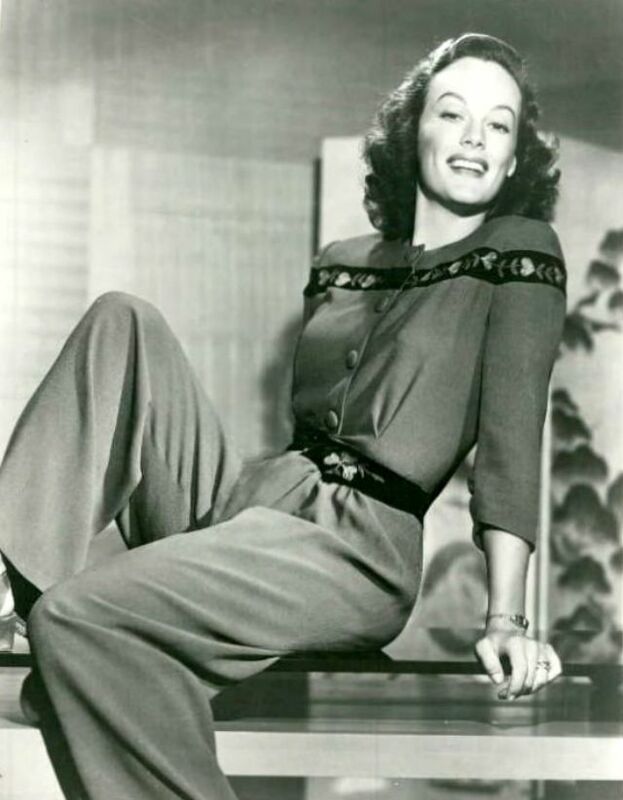 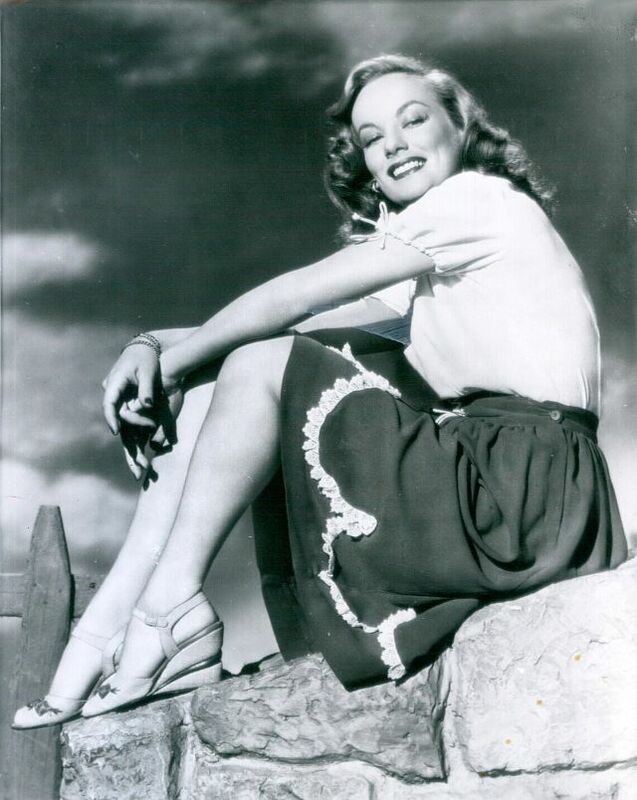 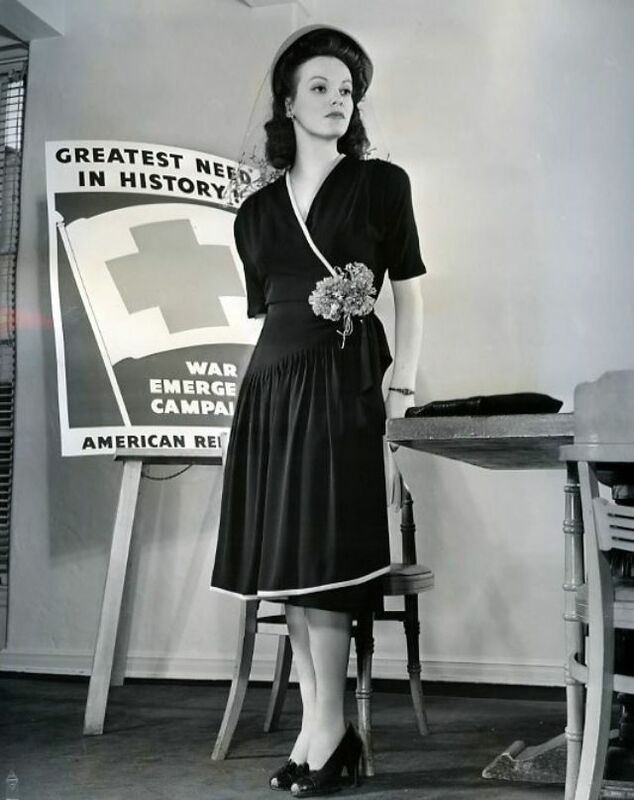 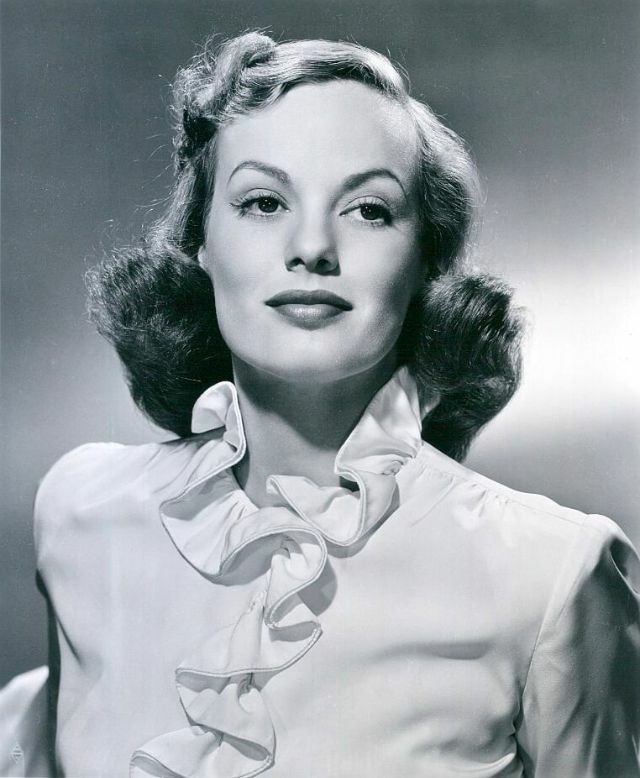 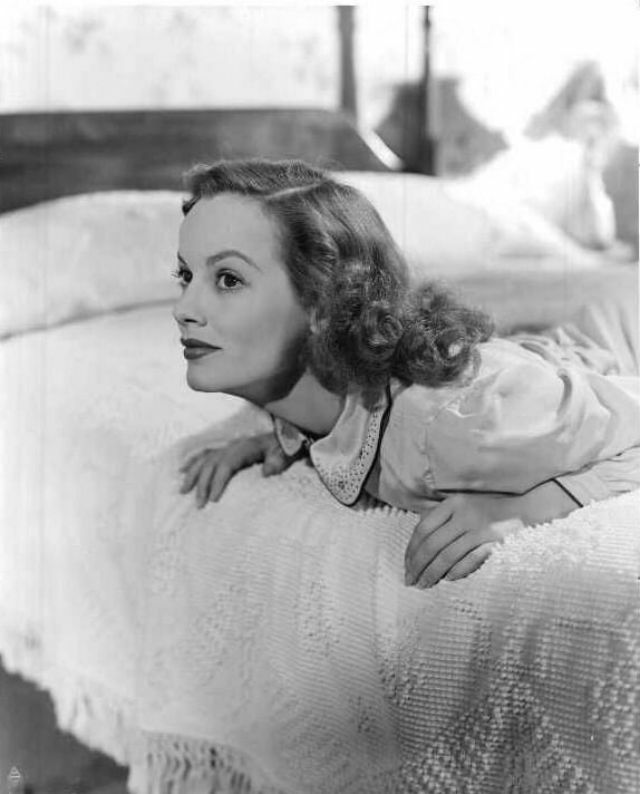 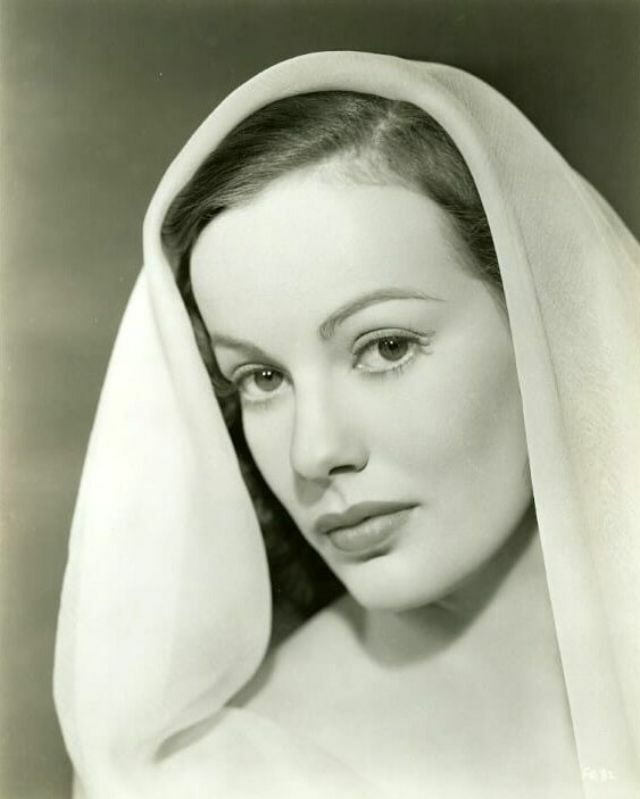 Born 1917 in Elizabeth, Louisiana, American film actress and television interviewer Faye Emerson had her film debut in 1941 and acted in many Warner Bros. films. 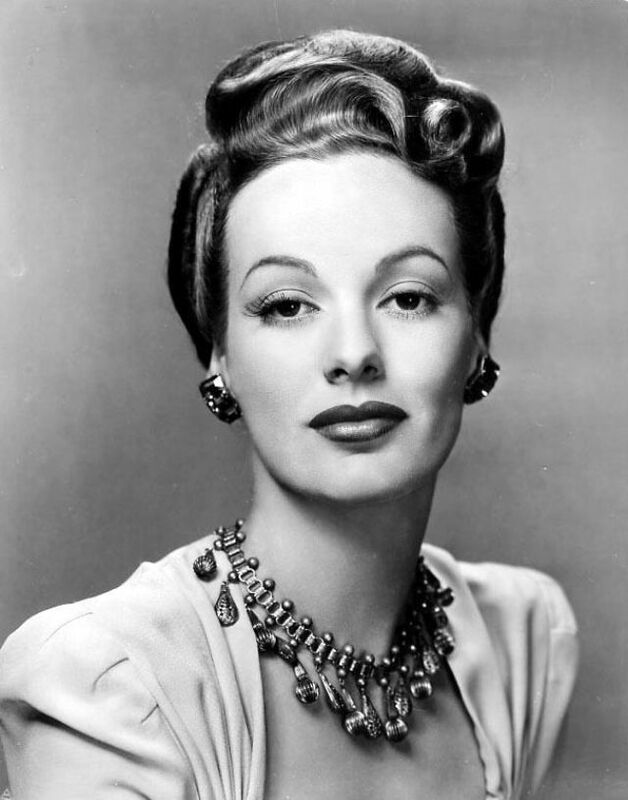 In 1944, Emerson played one of her more memorable roles as Zachary Scott's former lover in The Mask of Dimitrios. 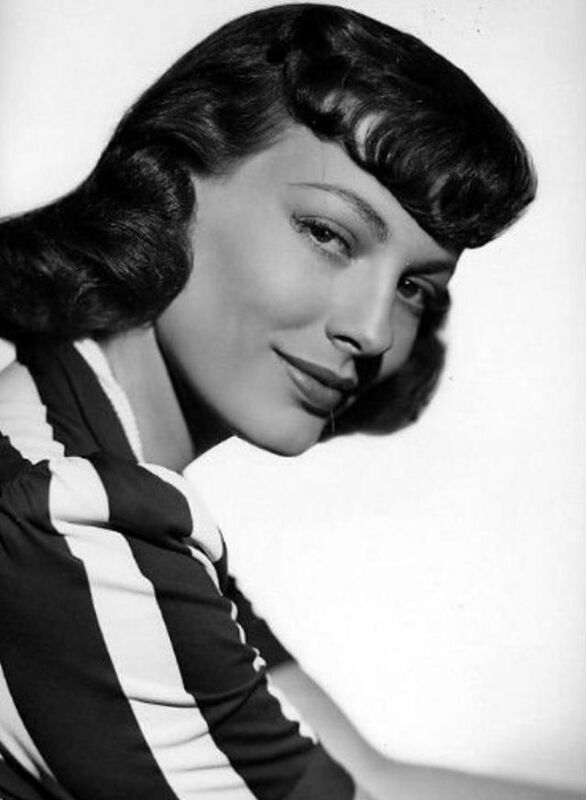 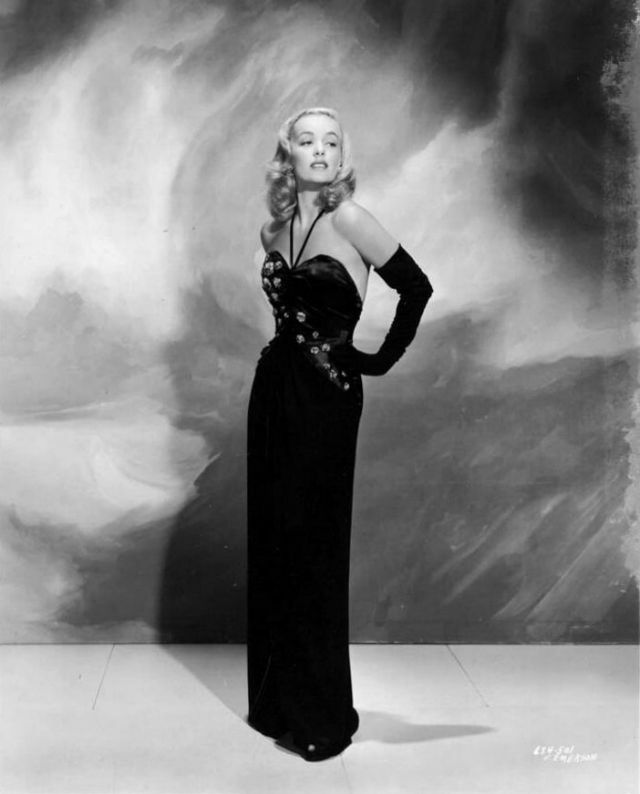 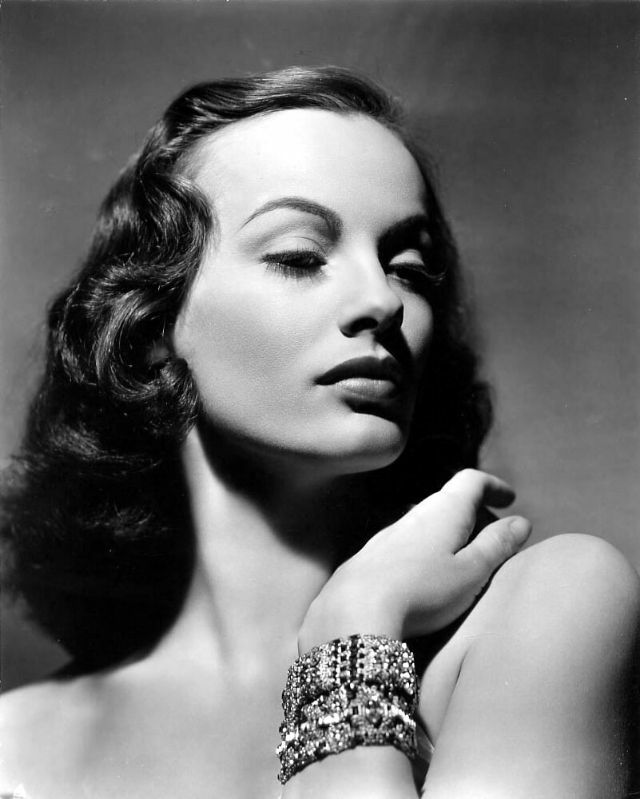 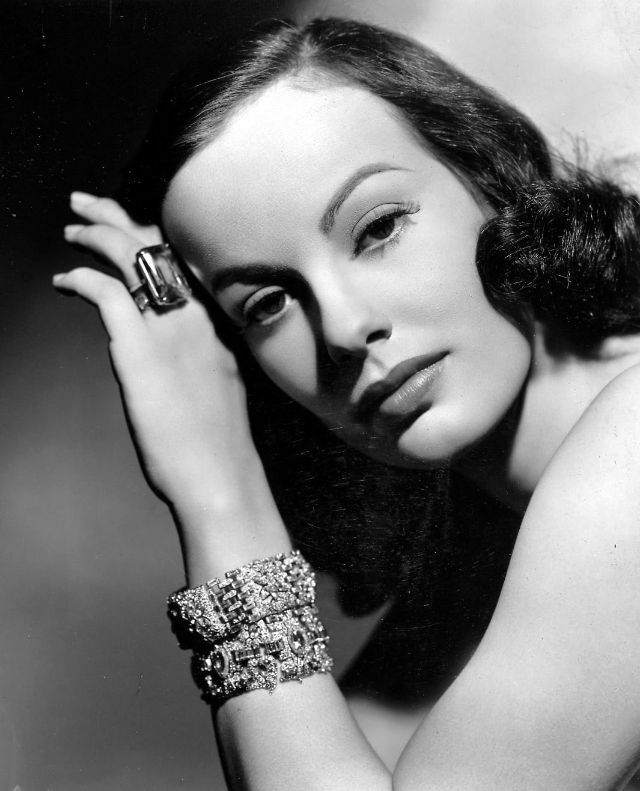 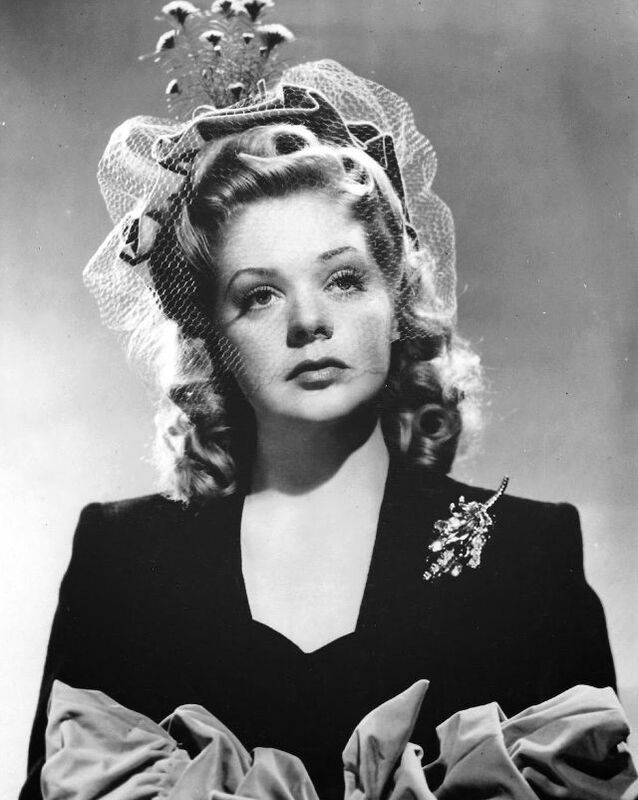 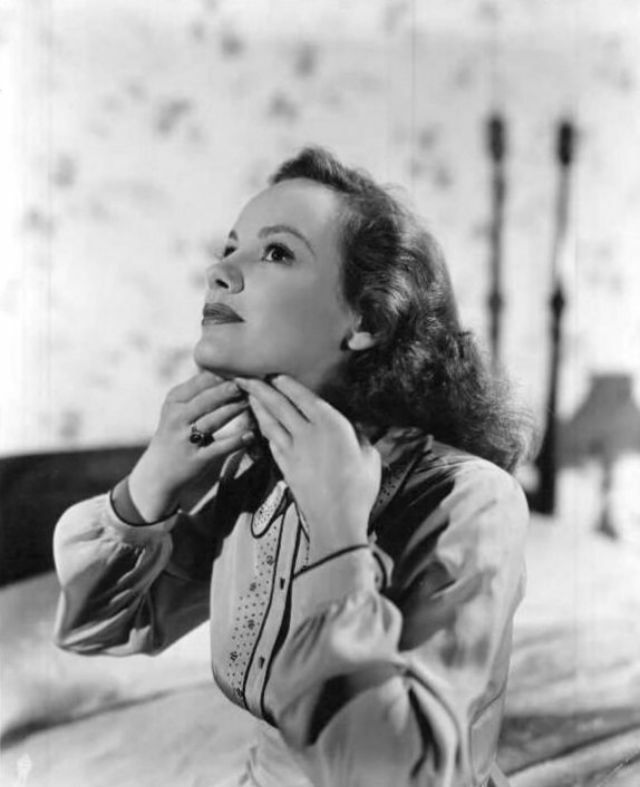 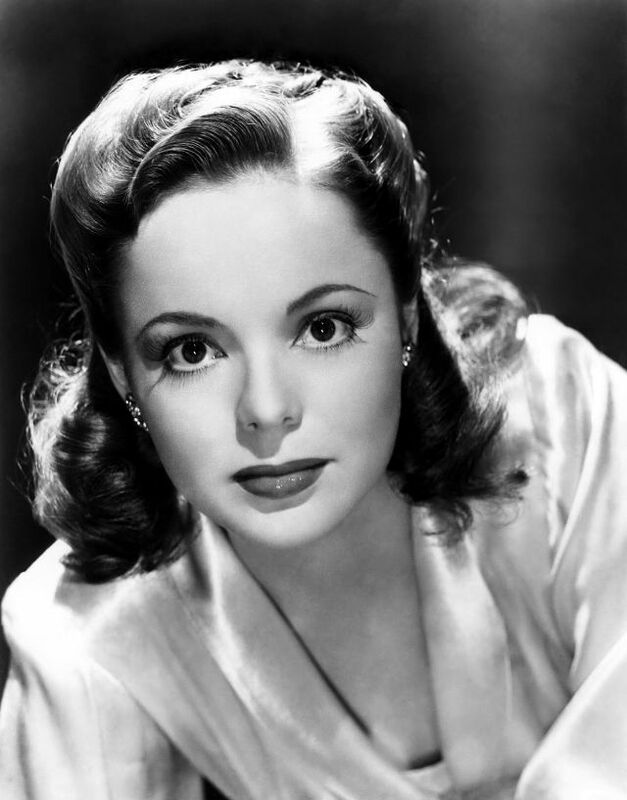 She also appeared in a number of other crime dramas: Danger Signal (1945) and Guilty Bystander (1950). 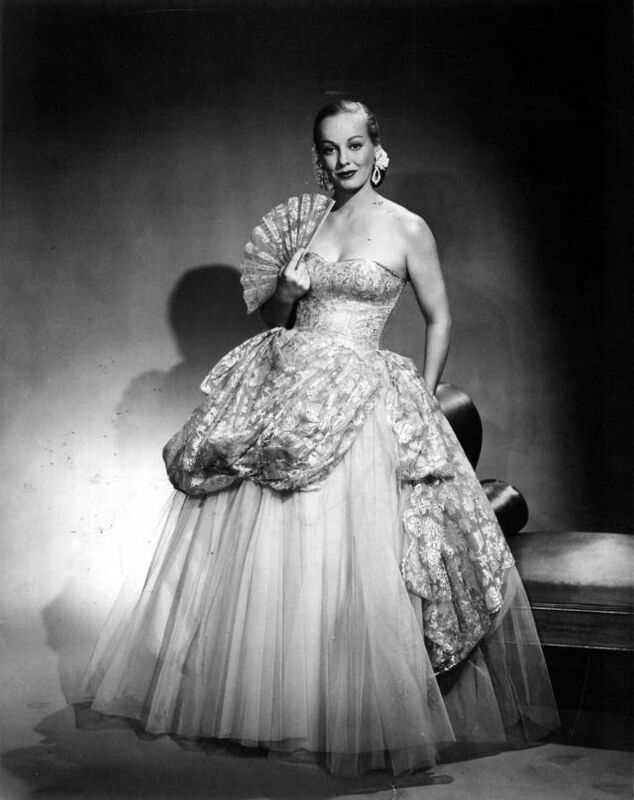 Emerson's Broadway debut came in 1948 in The Play's the Thing. 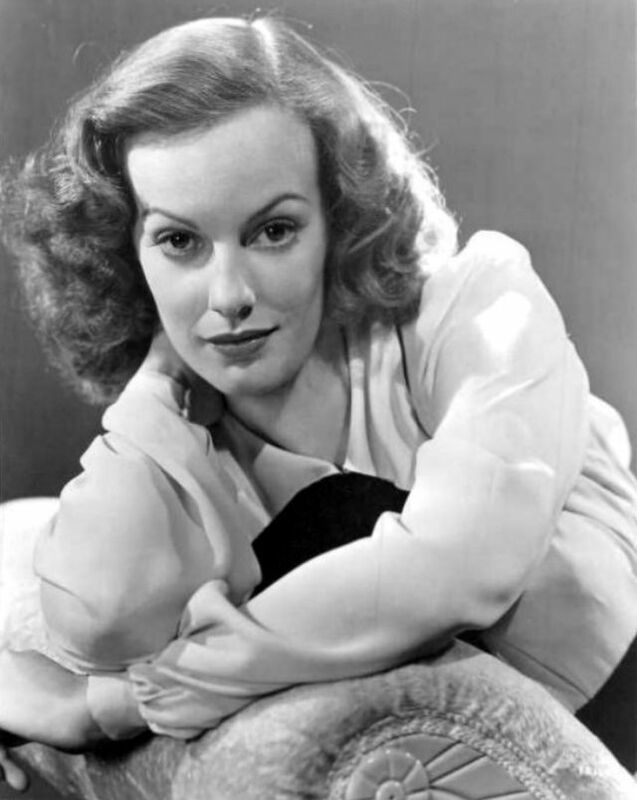 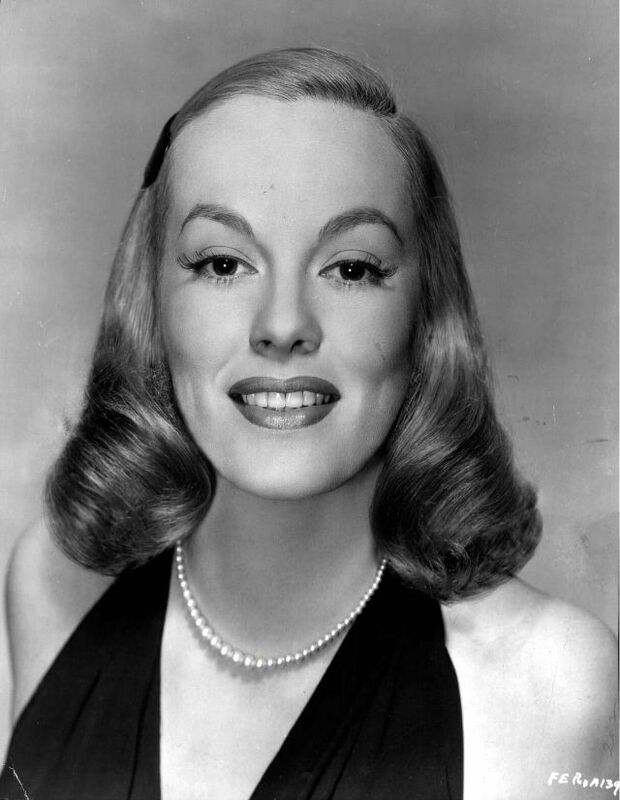 Her other Broadway credits included Back to Methuselah (1958), Protective Custody (1956), The Heavenly Twins (1955), and Parisienne (1950). 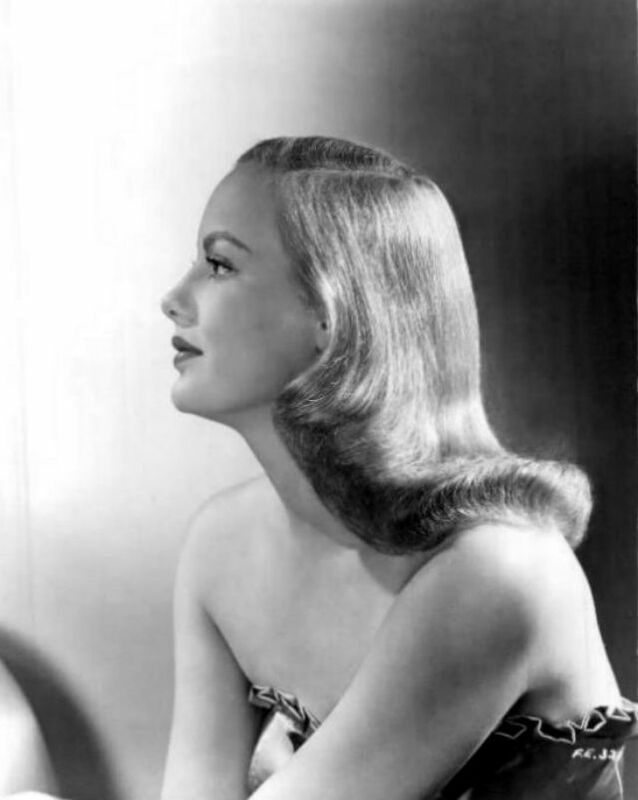 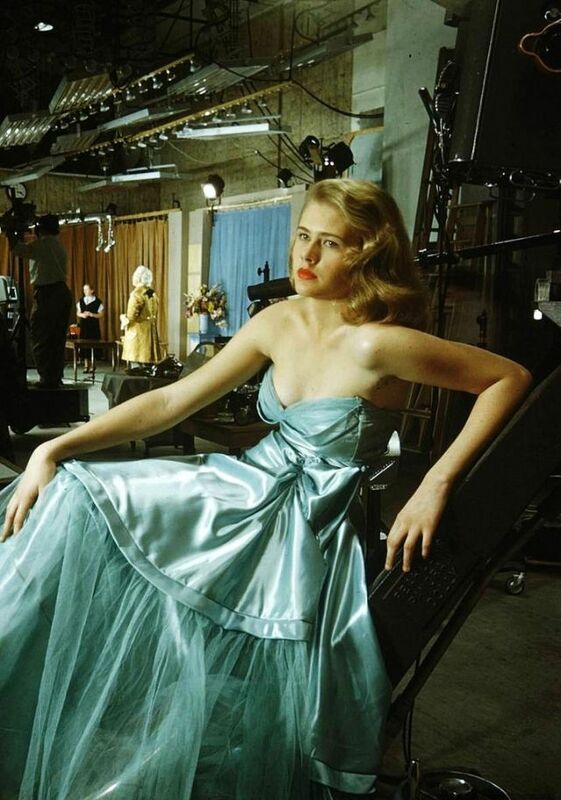 In 1948, Emerson made a move to TV and began acting in various anthology series, including The Chevrolet Tele-Theatre, The Philco Television Playhouse, and Goodyear Television Playhouse. 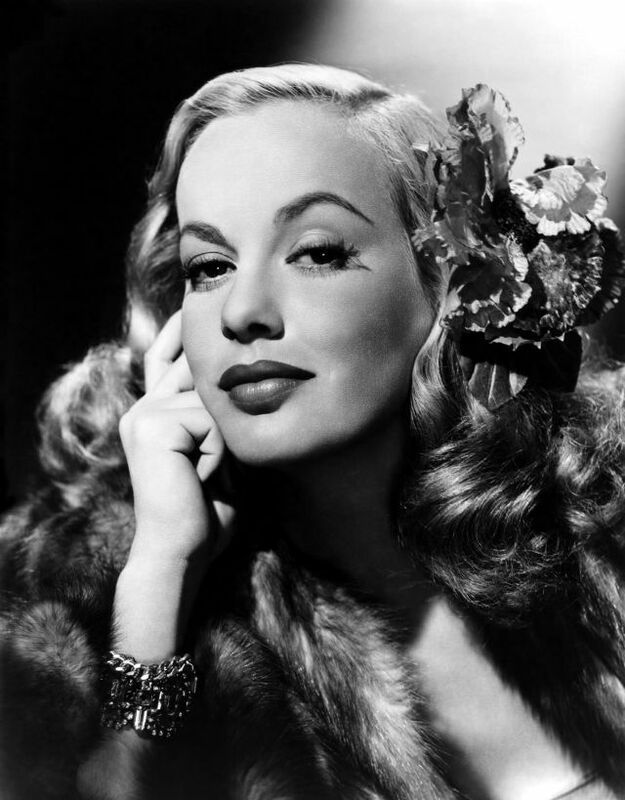 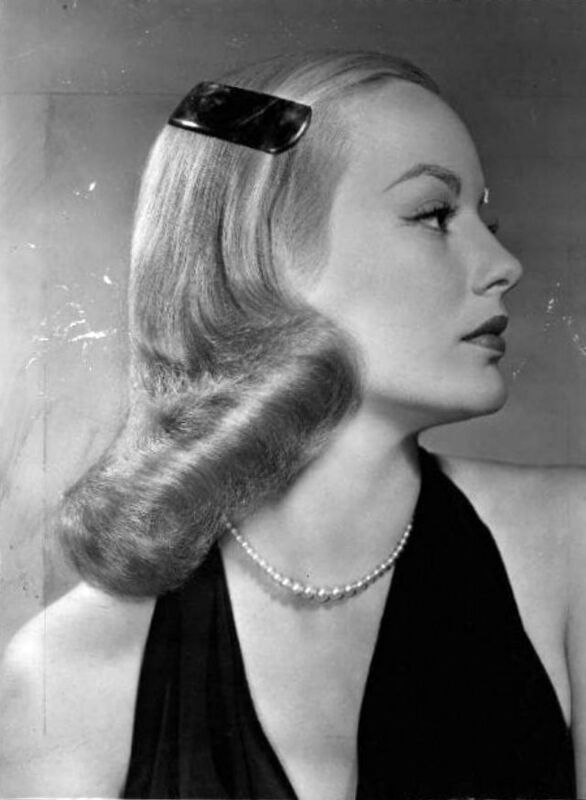 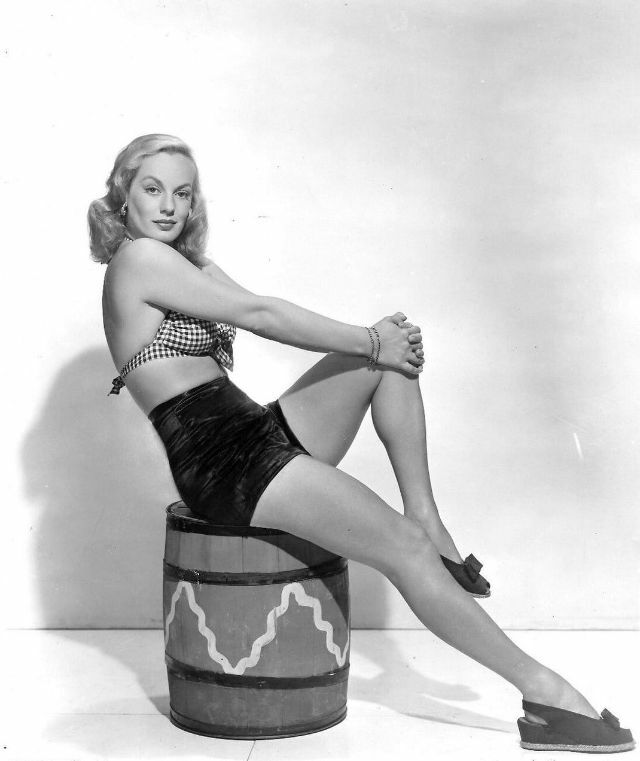 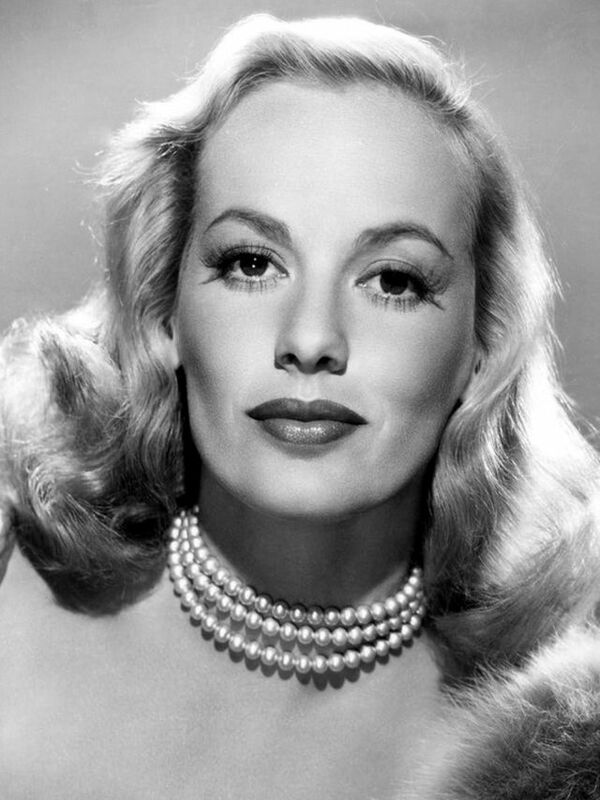 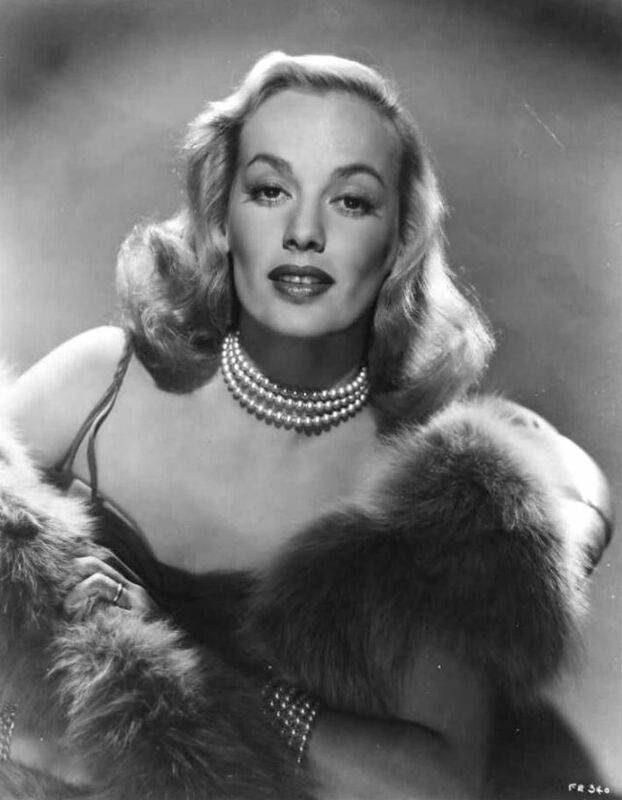 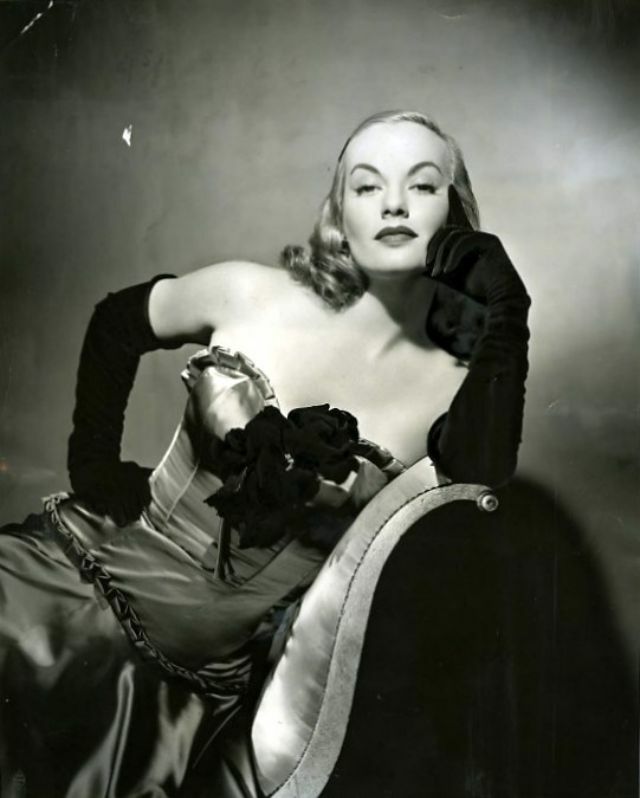 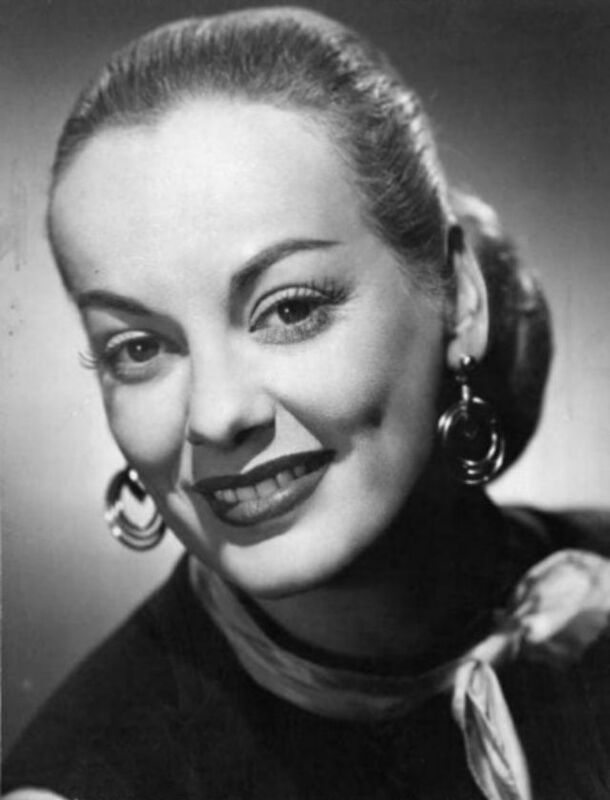 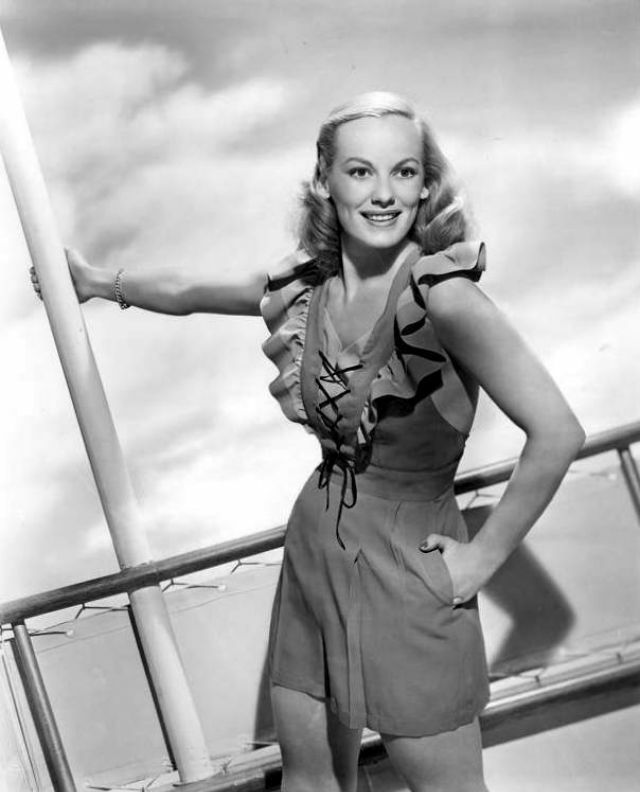 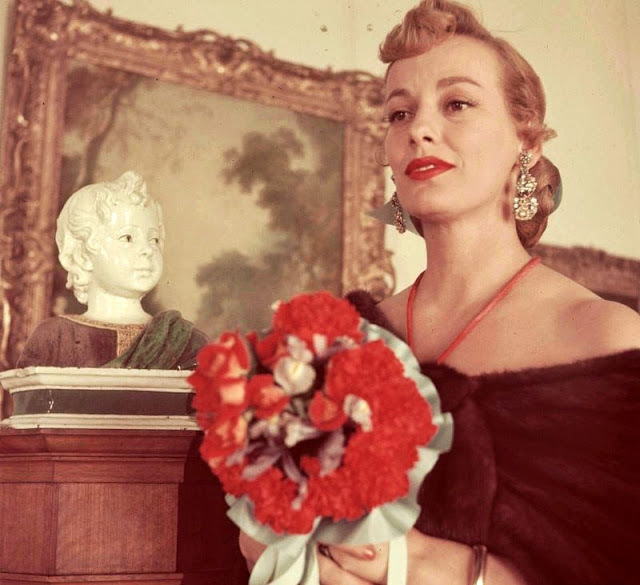 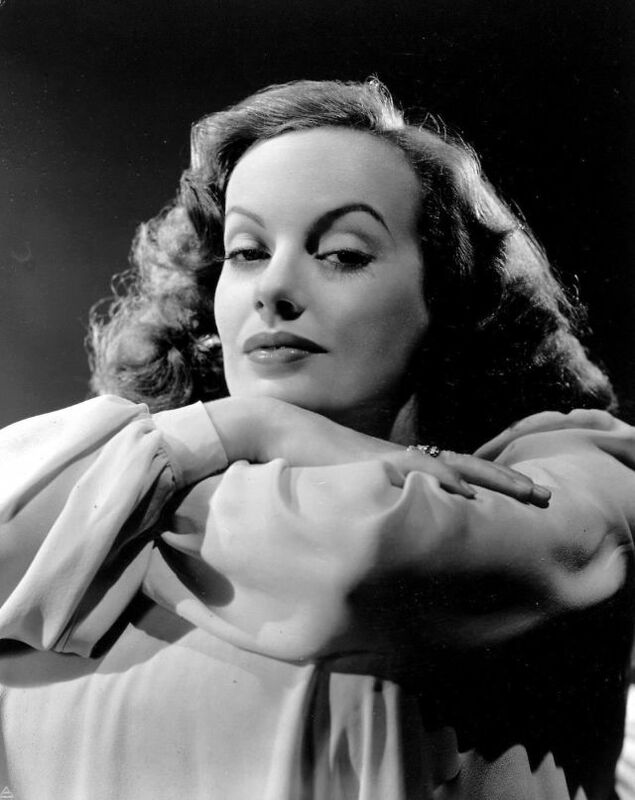 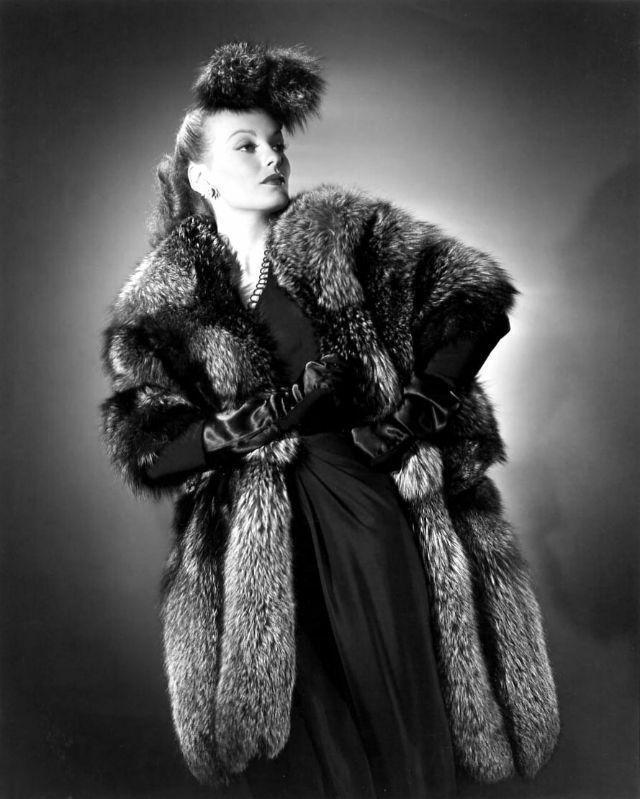 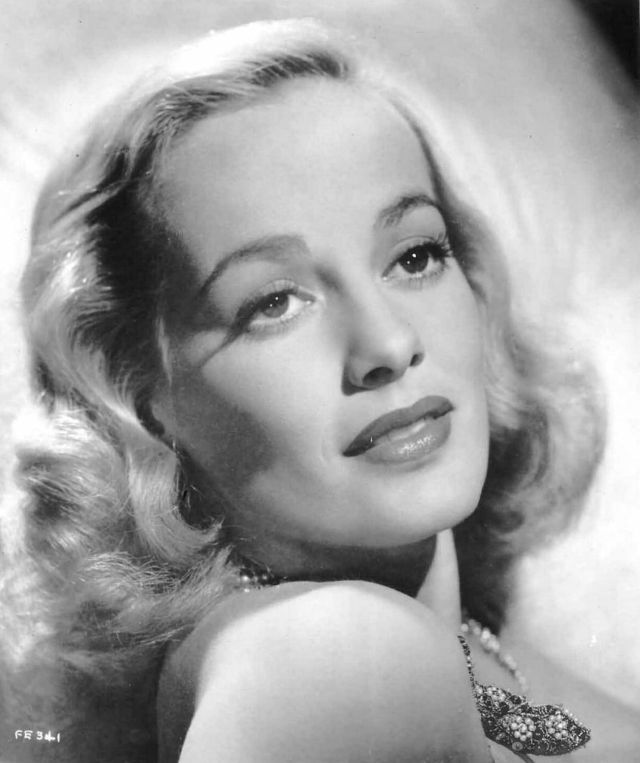 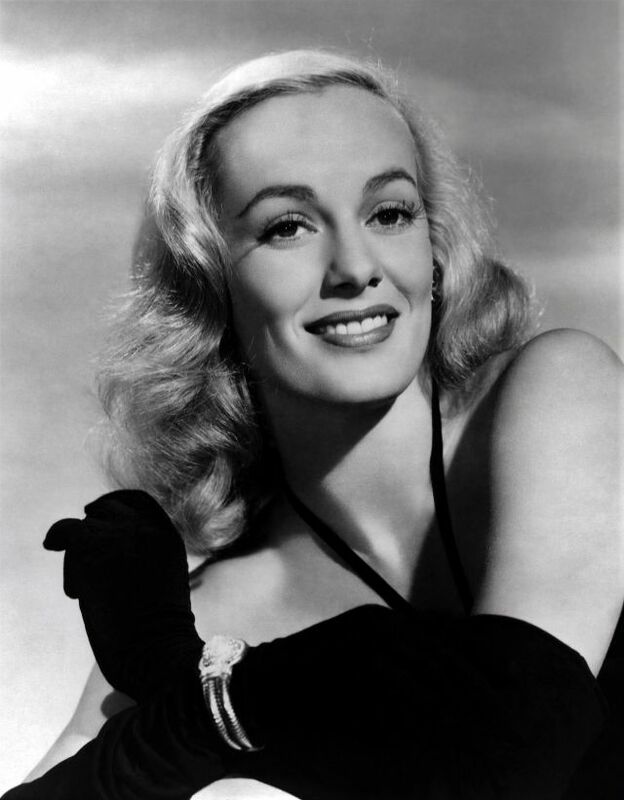 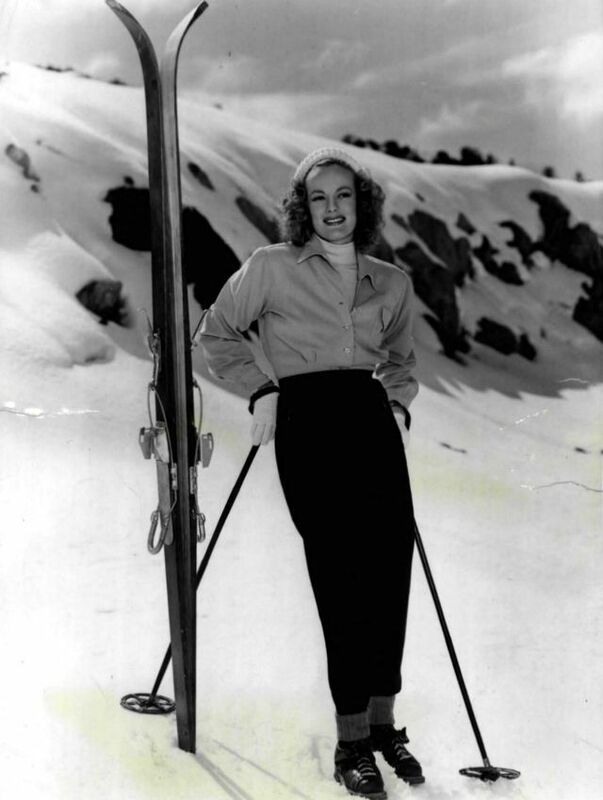 She served as host for several short-lived talk shows and musical/variety shows, including Paris Cavalcade of Fashions (1948) and The Faye Emerson Show (CBS, 1950). 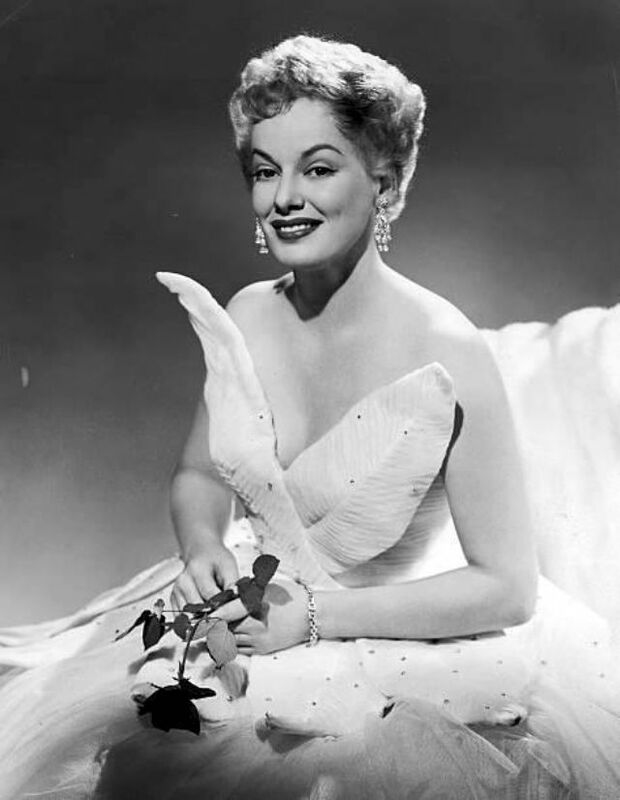 For her contributions to the motion picture industry, Emerson received a star on the Hollywood Walk of Fame in 1960. 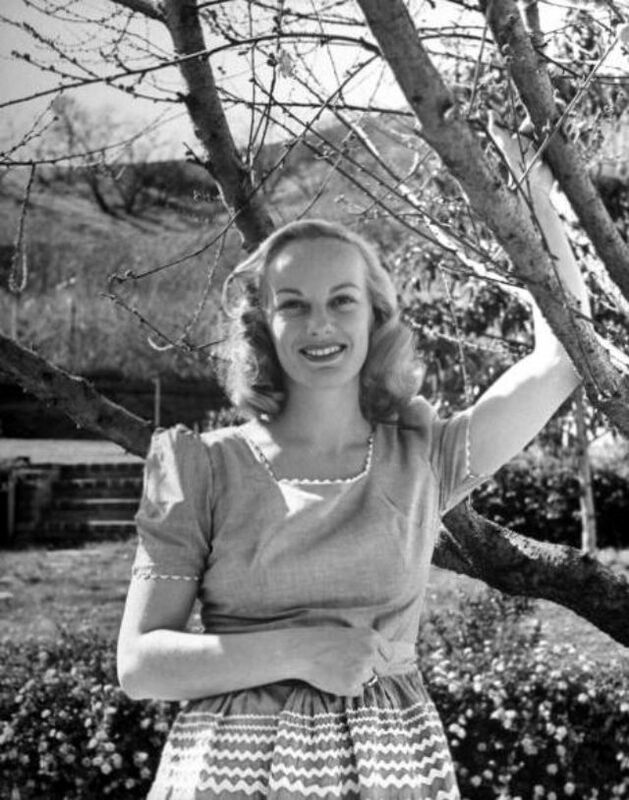 Her star is located at 6529 Hollywood Blvd. 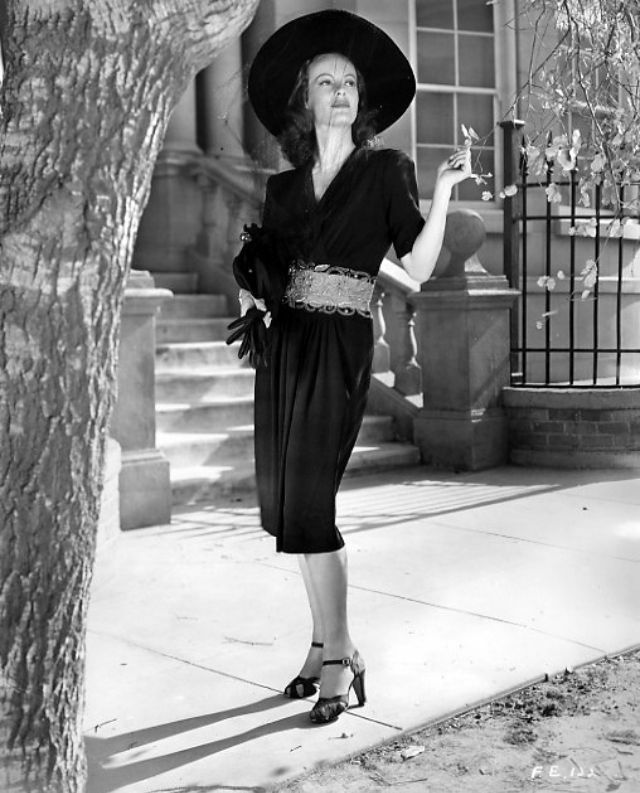 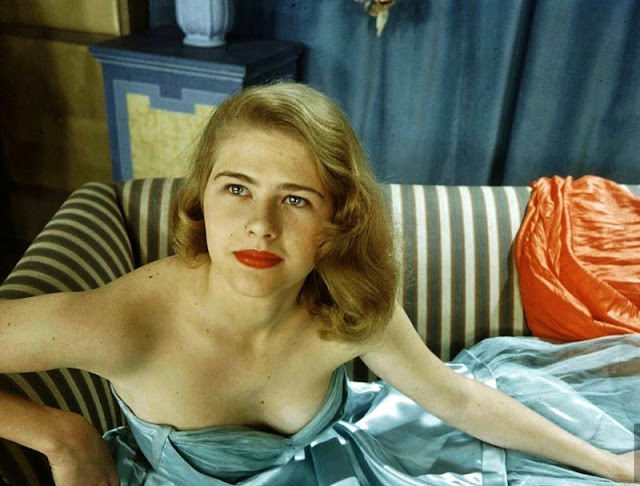 Emerson died in 1983 at age 65 from stomach cancer in Deià, Majorca, where she had lived since 1975. 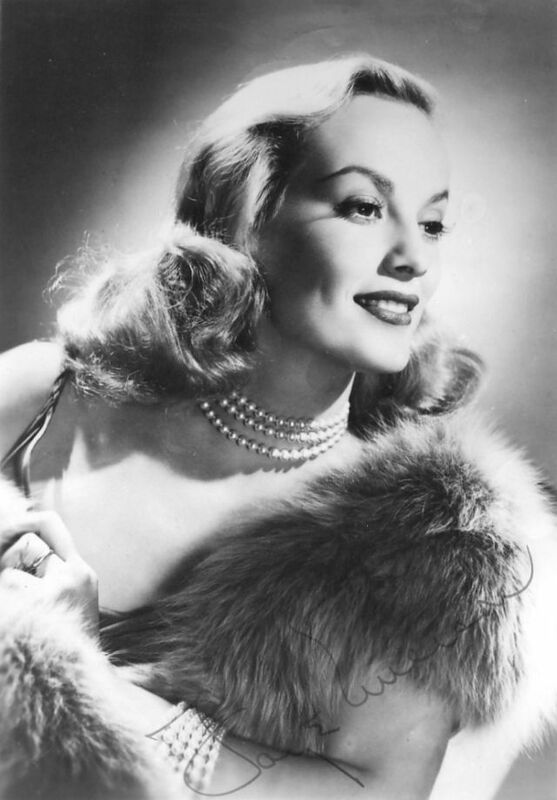 Take a look at these glamorous photos to see the beauty of Faye Emerson in the 1940s and Eraly 1950s.